Kyle Lowry of the Toronto Raptors is one of the top names in the 2017 free agent market. He is expected to command max money but should the Raptors give him less if they lose in the first round of the 2017 NBA playoffs to the Milwaukee Bucks? The Raptors are in a tight first-round match with the Bucks but they are up in the series 3-2 after a big Game 5 win on Monday. Kyle Lowry played with a back injury but he was still able to put up 16 points, three rebounds, ten assists and three steals in the 118-93 victory, per NBA.com. Game 6 is on Thursday in Milwaukee and the Raptors have a chance to close it out. However, the Bucks are a tough out and they could even pull off the upset by winning the next two games. 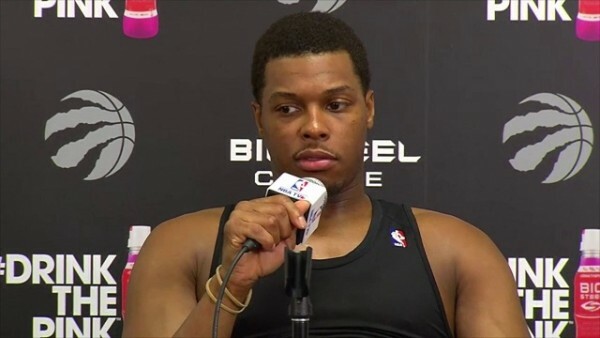 So if the Raptors fail to advance past the first round, is Kyle Lowry worth giving a max contract? According to Tim Bontemps of the Washington Post, Kyle Lowry is eligible to sign a five-year, $200 million deal this summer. Lowry is a ten-year veteran after the season and he is eligible for the 35 percent veteran maximum salary. However, Kyle Lowry has struggled this postseason just like in the previous year. If he continues to struggle in the next couple of games or in the next series if they advance, Raptors general manager Masai Ujiri might not be willing to give him $200 million. Kyle Lowry is 31 years old and he is still in his prime but it’s not justifiable to pay him a lot of money until he is 36 years old. Although Ujiri would love to bring back Lowry, he also has to worry about other free agents like Serge Ibaka, P.J. Tucker and Patrick Patterson. If the Raptors suffer another early exit, it’s possible that the team won’t give Kyle Lowry a max contract. They would love to re-sign him but teams such as Lowry’s hometown Philadelphia 76ers are open to giving him the max money he seeks.